On 15 February 2011 the Court of Appeal gave judgment in Iqbal v Dean Manson Solicitors  EWCA Civ 123, a case concerning a civil claim brought under the Protection from Harassment Act 1997 (“the PHA”). This was a landmark piece of legislation which has a broad ambit and can encompass conduct quite different to stalking and physical harassment. In particular, it can cover harassment by the media – we have discussed this in earlier posts, here and here. The Iqbal case provided an opportunity for the Court of Appeal to consider of issues of principle arising in harassment cases. The judgment of Rix LJ (with whom Smith and Richards LJJ agreed) contains discussion of several issues of general interest. 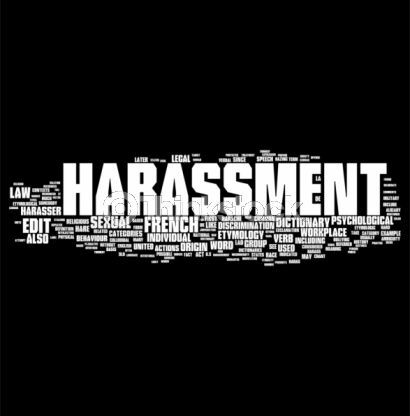 In particular, he considers the meaning of “harassment” and “course of conduct” under the Act, and examines the circumstances in which the way that litigation has been conducted may give rise to liability for harassment. The term “harassment” is not defined by the PHA (although s. 7(2) explains that the term includes “alarming the person or causing the person distress”). Importantly, however, section 7(3) provides that in relation to harassment of a single victim, a “course of conduct” must involve “conduct on at least two occasions”. The Claimant alleged that the three letters sent by the Defendant constituted a “course of conduct” that amounted to harassment. In response, the Defendant filed a Defence and applied to strike out the claim on the basis that it disclosed no arguable case of harassment within the PHA. The Defence also contained several further allegations against the Claimant. The application to strike out was successful before HHJ Ellis in the county court and was then upheld by Teare J on appeal. However the Claimant subsequently pursued a second appeal before the Court of Appeal, which overturned the decision of the courts below and reinstated the claim. (a) First, were any of the letters sent by the Defendant capable of constituting harassment for the purposes of the PHA? (b) Secondly, even if the first two letters were not capable by themselves of constituting harassment (as Teare J had held) when considered alongside the third letter could they nonetheless amount to a “course of conduct” within the meaning of the Act? (c) Thirdly, could the Defence filed by the Defendant be relied upon as evidencing a “course of conduct”? If so, did it matter that the Defence post-dated the Claim Form? (d) Fourthly, could a partnership be a defendant to a civil action brought under section 3 of the Act? “it is the course of conduct which has to have the quality of amounting to harassment, rather than individual instances of conduct” . This is an important passage. As Rix LJ makes clear, a claimant does not need to establish that every individual act complained of is, when viewed in isolation, an instance of harassment. Rather, it is the cumulative effect of the individual acts that actually counts. Rix LJ demonstrated this by reference to “the typical case of stalking”. When a defendant walks past a claimant’s door, or calls a claimant’s telephone and hangs up without speaking, the single act by itself may be neutral. But if the act is repeated on a number of occasions, the collective course of conduct may well amount to harassment. That conclusion can only be arrived at by looking at the individual acts complained of “as a whole” . The third issue was whether the Defence in the proceedings could form part of the course of conduct. Rix LJ held that the Claimant could properly refer to the Defence for the purpose of “throwing evidential light on the proper understanding, interpretation and assessment of the three letters themselves” . However he went on to say that in his view the Defence could also be viewed as a constituent part of a course of conduct amounting to harassment and that it did not matter that the Defence post-dated the Claim Form (although he emphasised that he was not actually deciding this question, which it was unnecessary to resolve in the present case) . The fourth issue was whether a partnership could be a defendant to a civil claim under the PHA? The Court of Appeal disagreed with Teare J and held that a partnership could be a defendant to a claim under the PHA. There were a number of key pointers that led the court to this conclusion. First, the PHA states that a “person” may commit the criminal offence or be liable for the civil wrong of harassment (sections 1, 2 and 3). The Interpretation Act 1978 (which applies to any Act unless the contrary intention appears) states that “‘person’ includes a body corporate or unincorporated” . Secondly, s. 7(5) of the PHA specifically provides that in relation to a victim: “References to a person, in the harassment of a person, are references to a person who is an individual”. However the Act does not define “person” when that term is used in relation to the perpetrator of the harassment. This distinction implies “person” can include a corporate or unincorporated body in the latter context . Thirdly, there have been a number of decisions under the PHA where civil claims have been allowed against unincorporated bodies. Fourthly, in Majrowski the House of Lords held that an employer could be vicariously liable in a civil action brought under the PHA . The House therefore clearly contemplated that “person” as regards a defendant to the statutory tort could include a corporate body. If so, Rix LJ said that it would be difficult to see why a defendant could not be an unincorporated body as well – it would be irrational to draw a distinction between the two types of body (see  and ). Lastly, Rix LJ argued that it would completely undermine the PHA regime if unincorporated bodies could not be civilly liable for harassment . For these reasons, a partnership could be liable under s. 3 of the PHA. A number of the issues examined in Rix LJ’s judgment have a broader application. First, there is the important question about when a civil claim under the PHA may be available in respect of articles published in the press. This was the issue that occupied the Court of Appeal in Thomas. In that case the Sun had published an article reporting that two police officers had been demoted after the claimant alleged that they had made racist jokes. The article referred to the claimant as a “black clerk”. A short while later the Sun published two further similar articles. The claimant alleged that as a result of the articles she had received racist hate mail. She therefore claimed that the articles amounted to a course of conduct constituting harassment. The Court of Appeal refused to strike out the harassment claim. However, Lord Phillips made it clear that “before press publications are capable of constituting harassment, they must be attended by some exceptional circumstance which justifies sanctions and the restriction on the freedom of expression that they involve”. Such circumstances will be “rare” . Moreover, editorial comment would only amount to harassment “if it incited, provoked or encouraged harassment of an individual” . In other words, Thomas therefore set the bar high for claimants wanting to establish a cause of action under the PHA against newspapers. The decision in Iqbal v Dean Manson may have an impact on the approach taken by the courts. Rix LJ said that: “A professional man’s integrity is the lifeblood of his vocation. If it is deliberately and wrongly attacked, whether out of personal self-interest or malice, a potential claim lies under the Act” . In this passage he draws a clear connection between attacks on an individual’s reputation and the protection provided by the PHA. The parallel with defamation claims is clear. Libel claims will often involve allegations that a defendant has deliberately attacked the claimant’s reputation. Caimants may therefore look to the PHA as a possible source of relief alongside a claim in defamation. Bringing a claim under the PHA may have several advantages to bringing a claim in defamation. First, the limitation period for PHA actions is the standard six-year limitation period and not the one-year period that applies in defamation actions. Secondly, a claimant may wish to obtain an injunction to restrain a defendant from pursuing any conduct which amounts to harassment. If the conduct in question is the publication of articles in the press, then the PHA may enable the claimant to circumvent the rule in Bonnard v Perryman, which imposes very tight restrictions on the granting of injunctions in defamation claims. Thirdly, there is no reason in theory why damages should not be awarded in respect of a harassing publication of truthful allegations (although as a matter of practice it is likely to be more difficult to establish that a defendant’s actions were unreasonable if the material published is substantially true). It should be noted that a PHA claim may also have advantages compared to a claim for misuse of private information. In particular, the PHA may enable a claimant to bring a claim in respect of the way that private information has been obtained. Relief may lie under the PHA even where there has been no publication/disclosure (a necessary precondition to a misuse of private information claim). Iqbal v Dean Manson is important for a number of reasons. Its principal importance lies in the Court of Appeal’s analysis of the meaning of harassment and course of conduct under the PHA. However the decision also shows that the way that a defendant conducts litigation could give rise to civil liability for harassment. In addition, the judgment indicates that a defence filed in a harassment claim may (perhaps paradoxically) help the claimant to make out their cause of action. These points are worth bearing in mind in the media context, where reputations are routinely attacked and where wars of words frequently end up before the courts. Edward Craven is trainee barrister at Matrix Chambers.